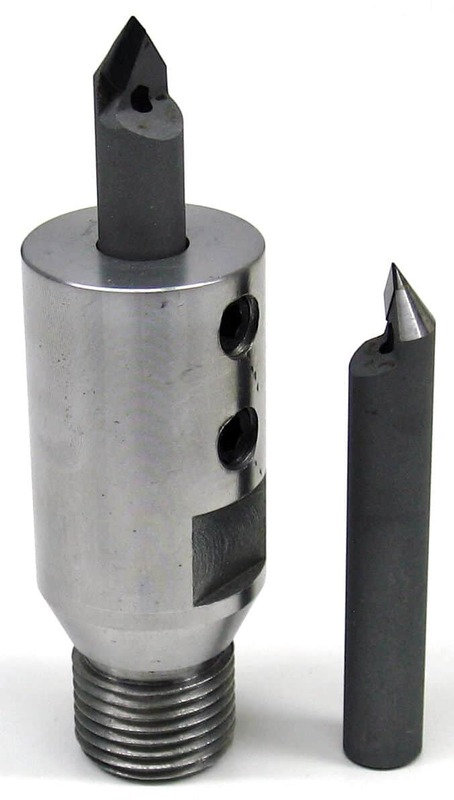 Polycrystalline diamond (PCD) engraving tool for granite, offers superior cutting ability and more cost-effective when compared to conventional tungsten carbide. Must be handled and stored carefully due to the brittle nature of the material. Used in conjunction with our 10mm – ½” BSP Adaptor.